In the early 20th century, few people had heard of obscure Billericay until one eventful night during World War I (1914-18). A German Zeppelin airship was brought down on the outskirts and the village was thrown into the limelight. With the ending of war there was huge demand for new homes and Billericay became a happy hunting ground for builders, because of its high elevation and beautiful surroundings, By the 1920s, the population had reached 5,000 and was still increasing rapidly. The problem of caring for the spiritual needs of the new people of the area was seen to be acute and urgent. So three Methodist families hired the Women’s Institute hall and formed the church community. Soon after, they bought a site in Western Road and began the first stage (a school room) of the church’s building development. The church was opened on 1st May 1926 and it cost £2,200. 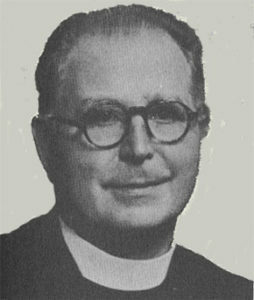 The first minister with responsibility for Billericay was a young Arthur Powell-Davies. After just one year in post, he emigrated to the USA and eventually transferred to the Unitarian Church ministry. He became an orator and social activist of national renown. 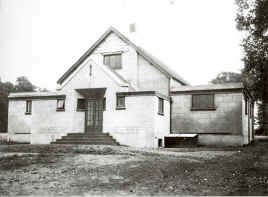 It was nearly forty years before a further stage of building was completed when the current church on Western Road was constructed and opened for worship. At the dedication service on 16th April 1964, an address was given by the Rev Dr Leslie Newman, a great Methodist preacher and former minister of this church. Mr John Liollard (treasurer at the time and member of the church until his death in 2006) reported at the opening that the total building cost was £25,300, of which £3,461 had been raised locally. £14,040 came from compensation for war damage to Methodist premises at West Ham. Pressure on space encouraged the church to expand its buildings to better serve its weekday activities, particularly those for children and young people. In October 1973, a new large hall replaced the original 1926 school room. At this time as Billericay grew rapidly, so did church numbers and overcrowding at Sunday services became a serious problem. A shift system was proposed, and in 1985 two morning family services replaced the single service. Outreach in Billericay was extended in 1991 when a church community in the developing area of Queens Park was launched. A church building was opened in 2003 and the church was named Queens Park Community Church. Numbers attending Sunday worship at the original Western Road site, in common with most mainstream denomination churches, have declined since the 1980s, and the church reverted to a single morning service in 2004. Fewer children and young people attend church on Sunday, but weekday organisations are thriving and numbers are constrained only by shortages of adult leaders.